Police secure a perimeter at OceanFirst Bank in Collingswood after an apparent robbery. Credit: Matt Skoufalos. Laque Hunter, 33, and Anthony Livingston, 47, await pretrial hearings in connection with the July 24 incident. 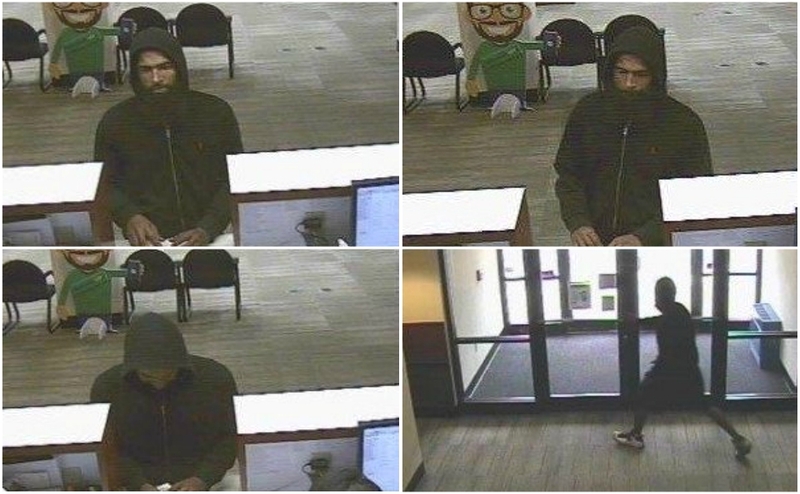 Photos of a man authorities say is wanted in the robbery by note of the Collingswood OceanFirst Bank. Credit: CCPO. 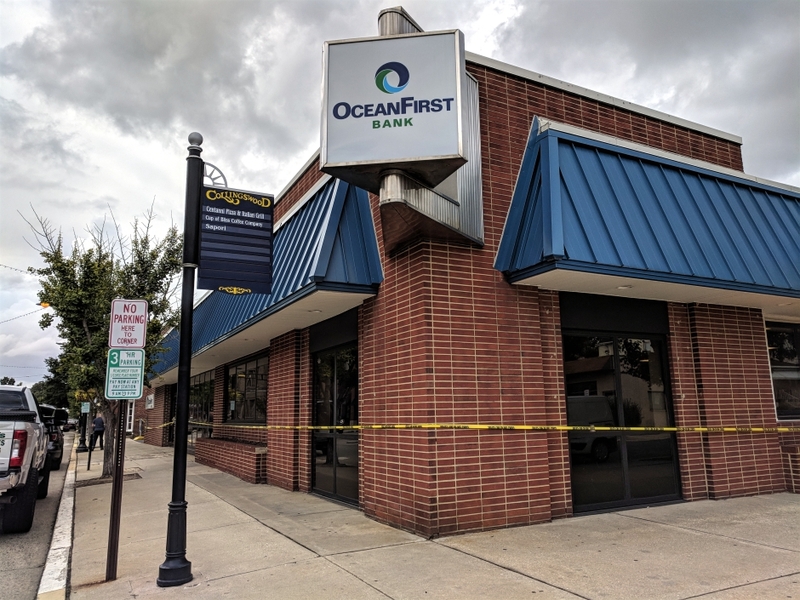 Two Camden men are being held in the July 24 robbery-by-note of the Collingswood OceanFirst Bank (formerly Sun Bank). Police said Hunter was driven off the scene by 47-year-old Anthony Livingston, with whom he allegedly conspired to rob the bank. No one was physically injured in the incident, and no weapon was displayed. 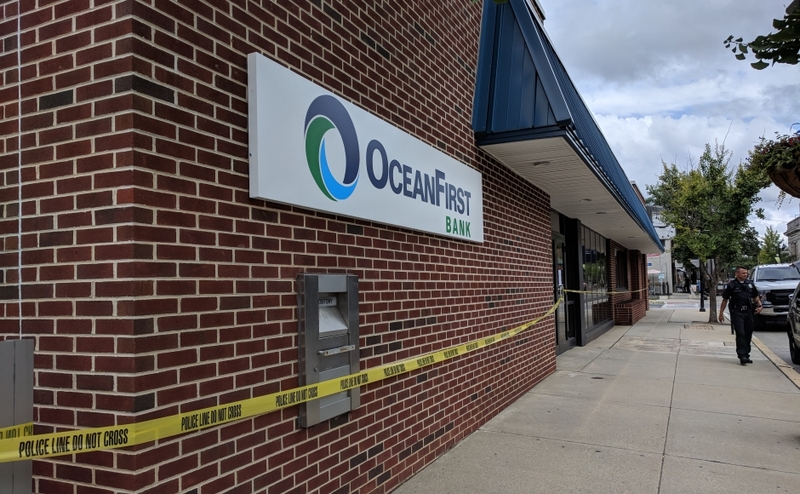 Police secure a perimeter at Ocean First Bank in Collingswood after an apparent robbery. Credit: Matt Skoufalos. 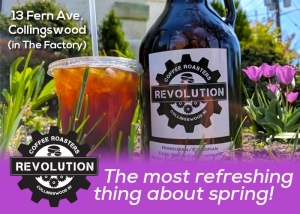 Livingston was arrested later that day by Collingswood police at a traffic stop near Louis and Morton Streets in Camden. He and Hunter both were charged with conspiracy to commit robbery. Hunter was arrested two days later by Camden County officers near Broadway and Federal Streets. Both men are being housed in the Camden County Jail, awaiting pretrial hearings. Anyone charged with a crime is presumed innocent unless and until proven guilty in a court of law.